The tribe of metal horned unicorns from Unimaise is broken down into different sets of individuals grouped together by type of metal related magic. These groups are called Herds. While there are many more Unicorn Herds than those listed below, the different herds of the remaining 12 members of the Tribe of Metal Horned unicorns are 1) Pilot Herd, 2) Navigator Herd, 3) Medical Herd, 4) Water Purification Herd, 5) Scientific Herd, 6) Chef Herd, 7) Communicator Herd, 8) Styling Herd, 9) Psychology Herd, 10) Musical Herd, 11) Defender Herd, and 12) Empath Herd. Pilot Herd – Osm is a member of the pilot herd. All pilots have osmium in their horns. The rest of their horn might be comprised of platinum or some other white precious metal. 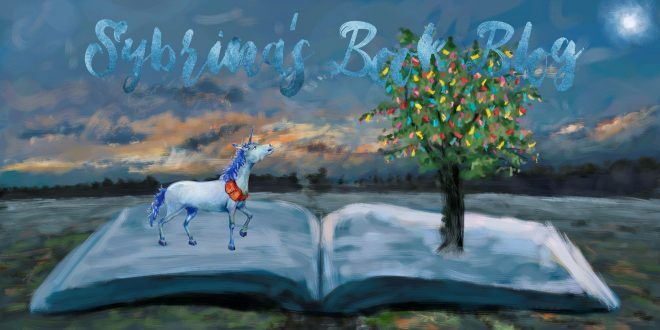 None of the unicorns stranded on MarBryn know that the blue unicorn is a member of the pilot herd. 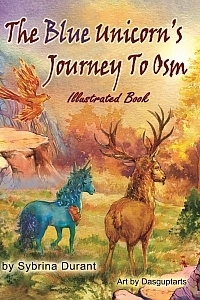 Osm also happens to be another term for awesome, and this unicorn has some awesome powers once he is transformed. Navigator Herd – Alumna is known as the oracle of the tribe because she has direct contact with Numen, the Moon-Star Spirit. She is a member of the navigator herd but she is unaware of that until the Numen tells her so. All navigator horns are aluminum. Navigators communicate with the Numen through crystal orbs in order to determine the best courses for the jump ships. They are natural map makers and create star maps as well as land maps. Medical Herd – Dr. Zinko is a member of the medical herd. All zinc horned unicorns are in the medical herd. Since the magical practice of medicine is not dependent on the Numen or on star travel, the doctor has always practiced his craft. A magical medical blast from Dr. Zinko’s horn can quickly heal an ailing unicorn. Water Purification Herd – Cuprum is a member of the water purification herd. Her name is the Latin word for copper. All copper horned unicorns belong to the water purification herd. Their main magical ability is to purify water but they also have some magical power over any body containing water such as the ocean, a tornado or even the body of another creature. Scientific Herd – Lauda is a member of the Scientific Herd. Her name has West Germanic roots for the word lead. Every unicorn with a lead horn is a member of the scientific herd. The lead horn is multi-purpose. Lauda can use her to magically conjure up insect repellants and she can also use her horn to solder fissures in the outer wall of the Halstable. Chef Herd – Tinam is a member of the Chef Herd. His name is the Germanic word for tin. All tin horned unicorns are part of the chef herd. Their magical ability is to conjure foodstuffs from thin air and to preserve it in tins so that it may be enjoyed later. The ability to conjure matter from nothing can come in handy in other ways besides serving up delicious meals. There is a close call in this book where Tinam’s magic saves members of the tribe from being eaten by a blober. Communicator Herd – Silubhra is a member of the Communicator Herd. Her name is the Germanic word for silver. The silver horned unicorns have the power of persuasion, making them great communicators. The silver horned unicorn’s magic power was derived from the word “salubrious” which means favorable or pleasing or even delightful. Silubhra’s voice is so salubrious that she has a ‘silver tongue’ along with that silver horn of hers. She has the ability to persuade others to behave in a manner in-line with her words. She is eloquent and has a beautiful singing voice that captures the attention of others. Styling Herd – Style is a member of the Styling Herd. All steel-horned unicorns have the power to make others look and feel better with their magical styling abilities. Styles motto is, “When you look good, you feel good, too.” Being able to magically conjure ear adornments, the shape and weight of kettlebells, helps Style escape from a hungry manticore. with the touch of their horn. They can repair the earth in many ways but since they are so in tune with the natural, they also have a greater understanding of the nature of unicorn psyches, too. Because of their ability to soothe frazzled egos or ease broken hearts, they are also known as philosophers and psychologists of the tribe. Musical Herd – Cornum is a member of the Musical Herd. His name is the Latin word for horn. Members of the musical herd have brass horns, which can sound like any wind instrument, even instruments that might be made of other metals or wood. Defender Herd – Nix is a member of the Defender Herd. The ferromagnetic properties of Nix’s nickel horn compels it to magically swing like a compass toward the metal horn of a unicorn in danger. This works in much the same way that a compass needle always points to magnetic north. Because of this, Nix is able to nix a disaster in the nick of time. Empath Herd – Ghel is a member of the Empath Herd. The word Ghel has Indo-European roots and refers to something that has a gleaming or shining yellow color. Gold is the horn color of empathic unicorns. They are able to see beyond the surface of other creatures, right into their very souls. In certain circumstances, they have the ability to merge their minds with others, too. This entry was posted in Blue Unicorn and tagged chef, earth works, empath, journey to osm, magic medicine, magical styling, magical unicorns, musical, nick of time, oracle, osm is awesome, scientific, silver tongue, unicorn, water purification. Bookmark the permalink.